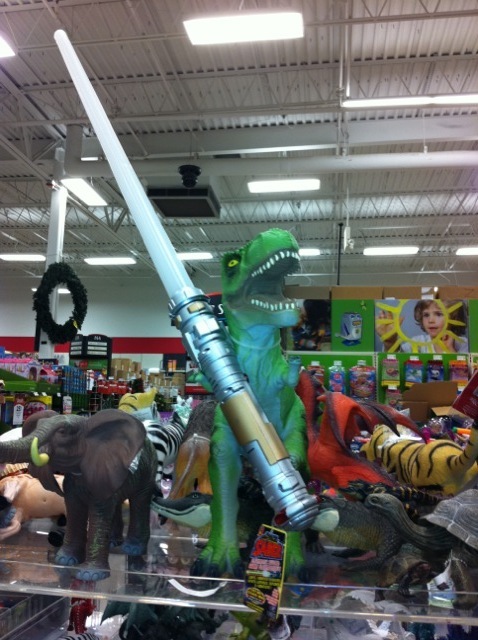 Tyrannosaurus Rex’s Arms Are Not Too Tiny To Hold a Lightsaber | Ooh Something Shiny! I went to Michael’s with my daughter. 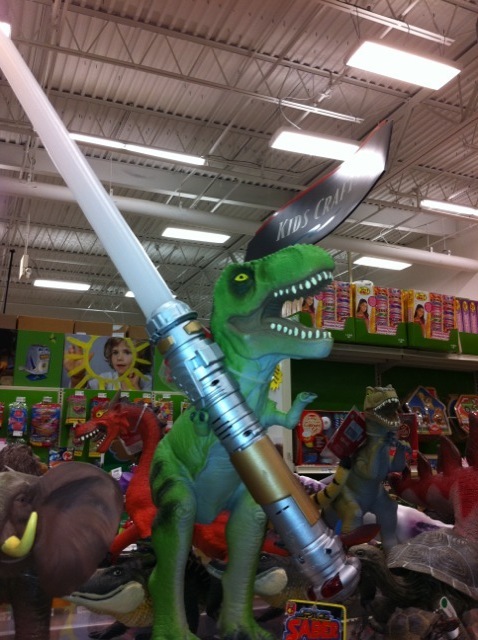 You would think that a craft store would be really boring, but there is a kid’s section where I found this really great light saber that flashed and made cool noises. It seemed like the only logical thing to when I was finished with it was to give it to an unarmed T-Rex who was standing guard nearby. 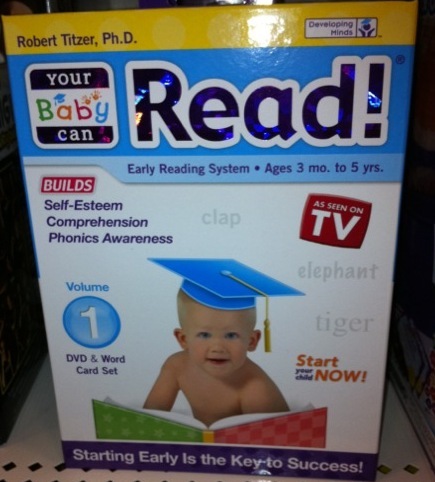 If your baby wears this magic hat he or she will be able to read and will enjoy a high level of self-esteem, so you should buy it unless you want your baby to live in your basement. 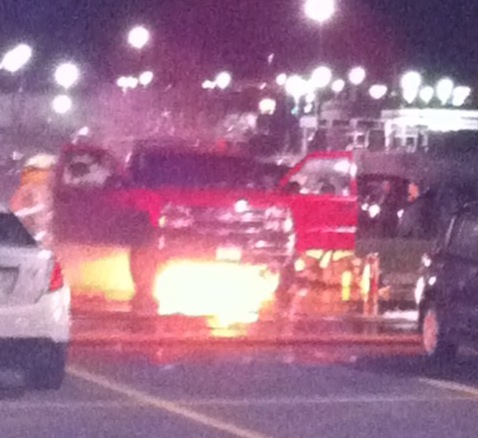 This pickup truck was on fire when we went into the store and the police and fire trucks were just getting there. We came out about 45 minutes later and the truck was still on fire. You can’t see it in this picture, but there is water and foam everywhere. The gentleman who owned the vehicle had a full tank of gas. The firefighters were unable to extinguish the blaze by the time we left, but at least they prevented it from exploding. ← So, I Expected Zoe Keating to be Amazing and Talented. I love T-rexs’ little arms. They are like cute little baby carrots surrounding a big hunk of meat. Thank you for sharing!!! This is what was going on.